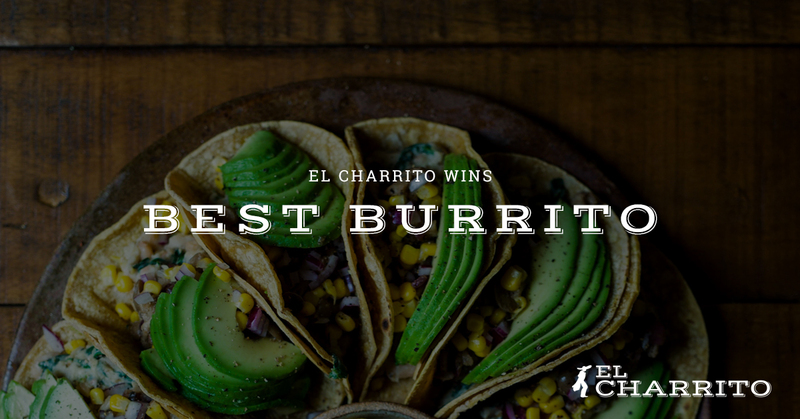 Hello and welcome back to the El Charrito blog! Lately, we have been talking about all things Mexican food on the blog. From the health benefits of Mexican food to the difference between authentic and americanized taquitos to the low down on tequila, we have been talking a lot about our favorite foods and drinks. Be sure to check out our latest blog posts to learn more about the food that we love and serve at our authentic Mexican restaurant in Monterey. If you haven’t yet been into our authentic Mexican restaurant, you are missing out and our friends at Monterey County Weekly would agree. We would love to have you visit us and treat you with some delicious eats. Here is what you can expect when you stop by. Start the day off right with on of our delicious and filling burritos served with beans and your choice of salsa for only $3.19. With each burrito, we serve rice, beans, and a choice of salsa for only $3.19! If you aren’t in the mood for a burrito, but still want all the fixings, get a Torta served on French bread with avocado, crema, melted jack cheese, tomatoes, onions, and pickled jalapenos. Or, get a plate served with twice the meat, rice, beans, your choice of salsa, and two house-made tortillas. Our house-made salsas are always fresh, flavorful, and packed with heat! In addition to our flavorful cravable burritos, we also offer tamales, chips with salsa or guacamole, taquitos, and refreshing aguas frescas such as Jamaica, Horchata, and Limon. Nothing is better than enjoying some chips and salsa, eating a flavorful delicious burritos, and finishing it off with a refreshing sip of an ice cold aguas fresca. All of us at El Charrito would love to be your Mexican food fix when you are craving authentic south of the border flavors. Some of the best things in life are made even better when they are shared. When you come in to see us, be sure to bring a friend or two! We offer catering services as well! We would love to fill your stomachs, delight your taste buds with soul food that you can’t find anywhere else. Thank you again to those at Monterey County Weekly and we hope you come into El Charrito in Salinas to see what all the fuss is about soon.